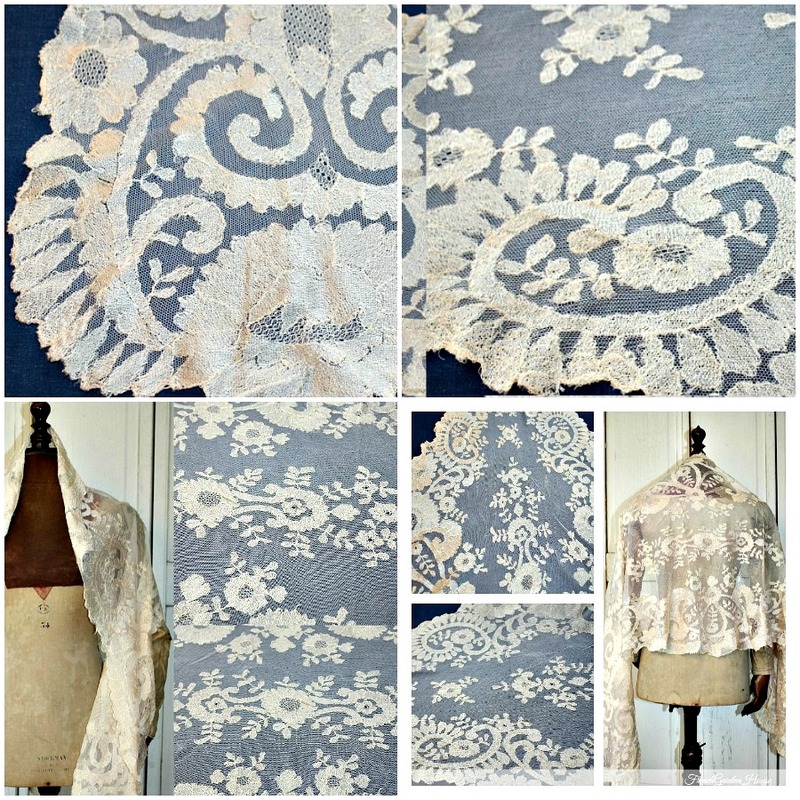 Exceptional and rare in color, this luminous 19th Century French Silk Lace Shawl has an absolutely gorgeous romantic and feminine pattern of flowers with foliate design elements and scalloped lace edging. Constructed from needlelace on fine quality silk net, this is a beautiful tour de force of needlework coupled with brilliant craftsmanship. Worthy of your collection, this estate piece dates to 1850 ~1880. 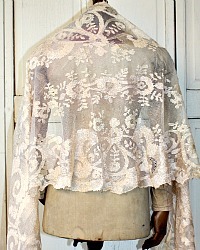 Hand needlelace elements were stitched in silk to form the ornate pattern, collectible shawls like this are favored not only for their luxury and beauty, but for their delicate but not too fragile nature. 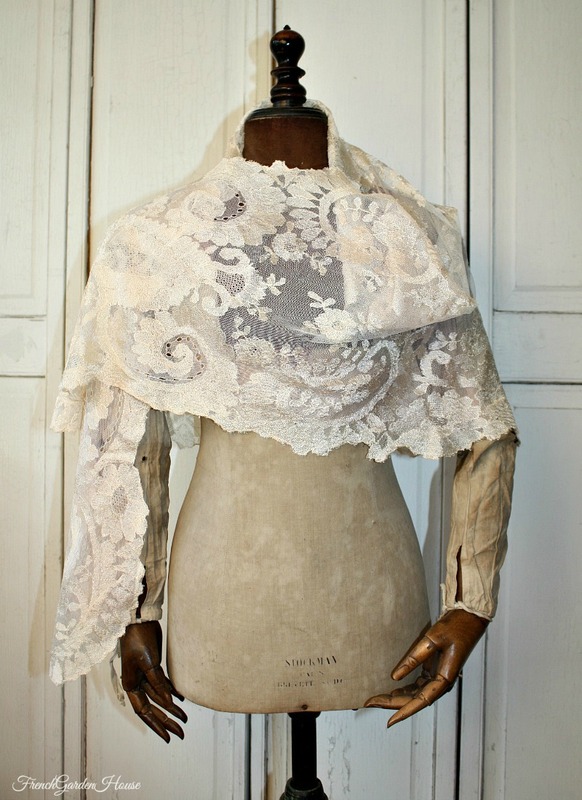 This superb shawl shows beautifully and will make the heart of any collector beat faster. Glorious color, a bit more "pink" Champagne than the usual Blonde color. 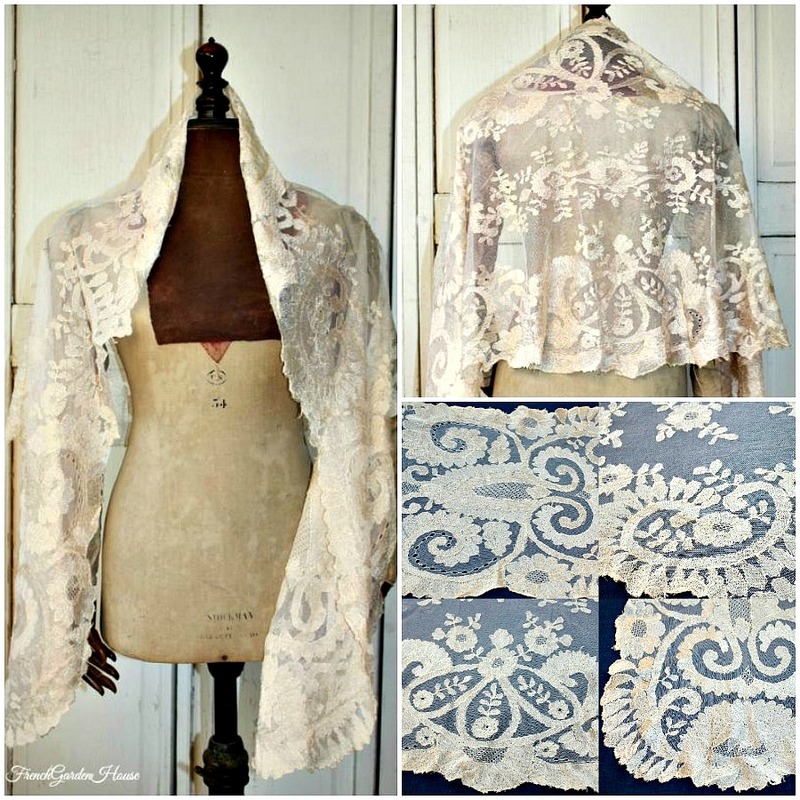 Gorgeous to display in your boudoir on one of your French mannequins, or wear this for special occasions and holidays. Measures 67~1/2" x 22".